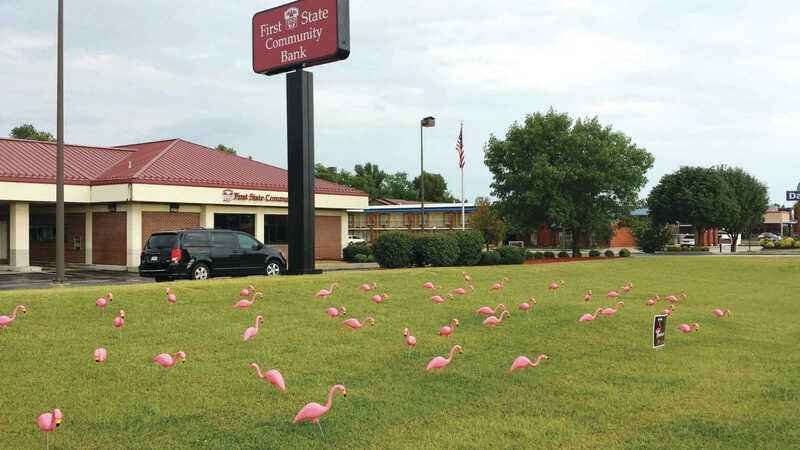 The flock stopped along its route to graze at First State Community Bank. 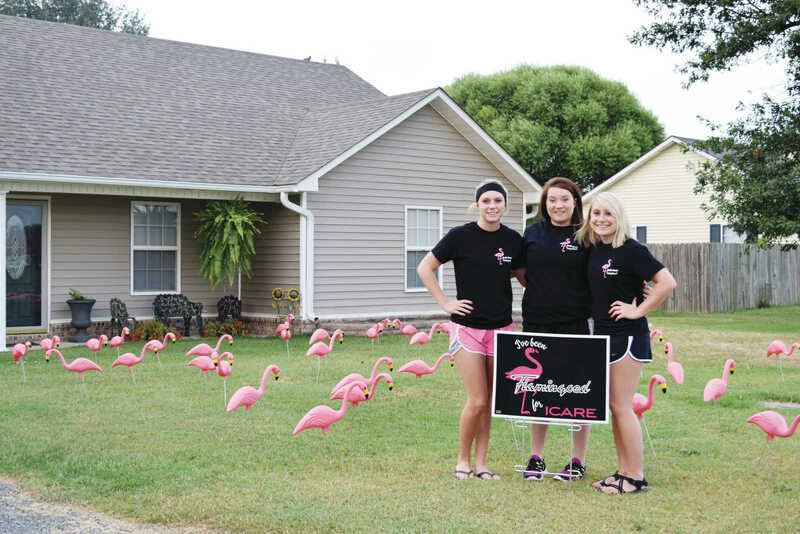 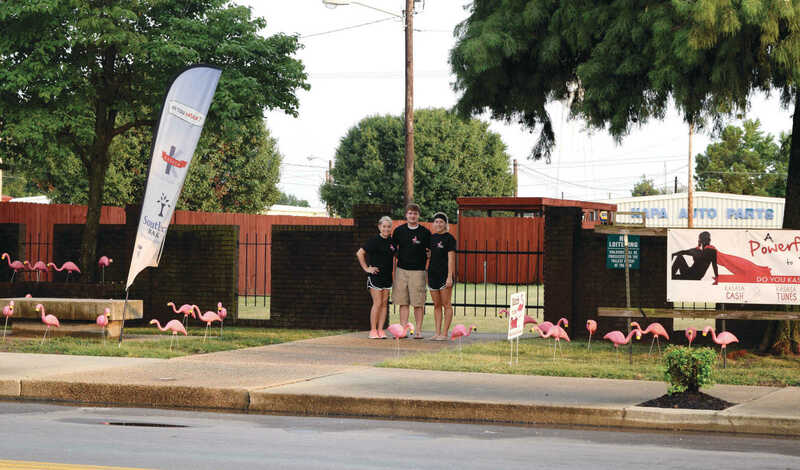 Alexis Swift, Chelse Wallace and Katelyn White, part of the 'Flamingo Crew,' placing a flock of birds on Kelly Jacques lawn. 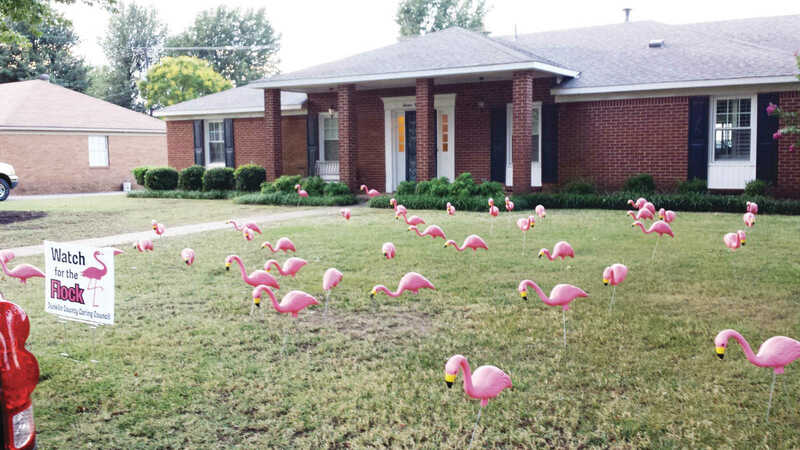 The ICARE flamingos stopped off at the residence of Charley and Charolyn Hilburn. 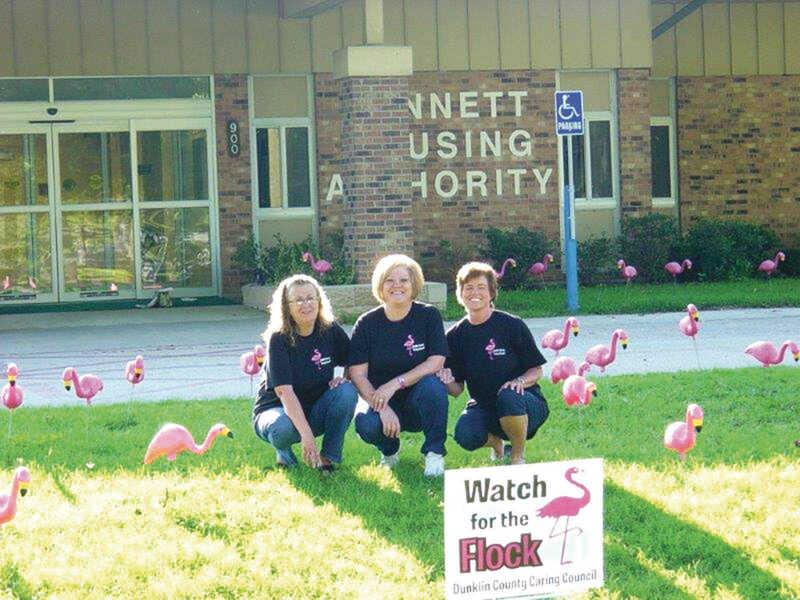 Kennett Housing Authority office staff, Karen Carter, Valerie McRill and Dana Coffer, pose with the flock. 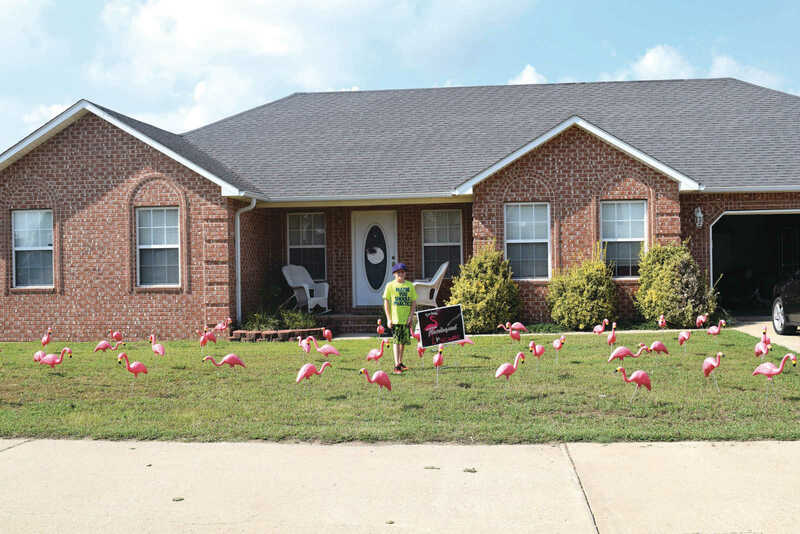 Austin Wallace came out to greet the flock as it landed at the home of Stephanie Wallace.